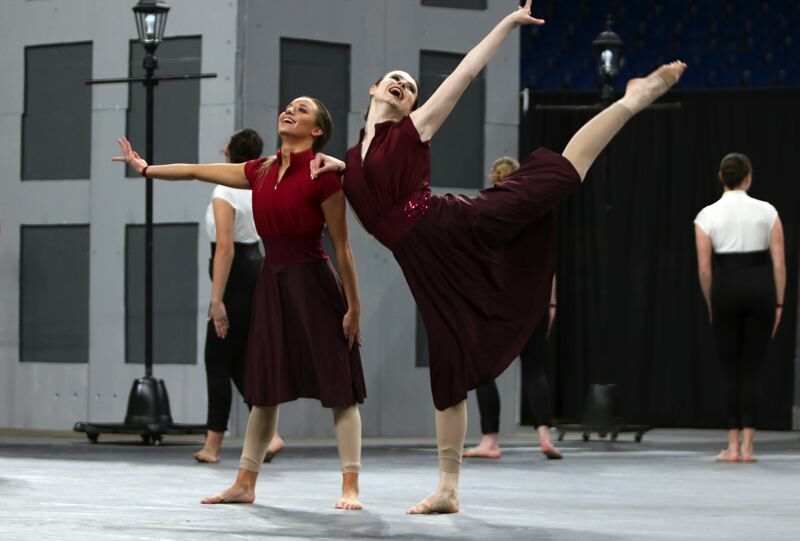 Here are some photos from the Clackamas Cavalettes' performance in the Show division at Saturday night's OSAA Dance/Drill state championships at Veterans Memorial Coliseum. The Cavalettes were the last of the 11 Show teams to perform in the finals and scored 86.00 for their "With You Their" routine, dancing to 2Cello's rendition of U2's "With Or Without You." Canby scored 88.27 for its "Together, Alone" number and claimed the Show state championship for the fifth year in a row, with Clackamas (86.00), Glencoe (78.45), Sprague (78.35), and Grant (77.02) rounding out the top five.